The Brow Bar, owned and operated by 25 year-old Tara Giorgio, is located right in the heart of Downtown West Chester. Tara moved to West Chester from Lancaster, PA in 2013 and began working as a part-time stylist at QVC. While working for QVC, Tara also started working at Ulta's Benefit Brow Bar in Exton, PA. This is where she found her niche- eyebrows. Her attention to detail and emphasis on personalized symmetry helped her gain a huge following of loyal clients, who she later named her "Brow Gang". The Brow Gang is far from a group of criminals, but a collection of people who come together for a common cause- the love of their eyebrows. Tara's personal street style inspired her logo to play up this "gang" idea even more, by including bandanas to cover the face of her clients, showing off only their BBTG (Brows By Tara Giorgio) to take pictures of her work. 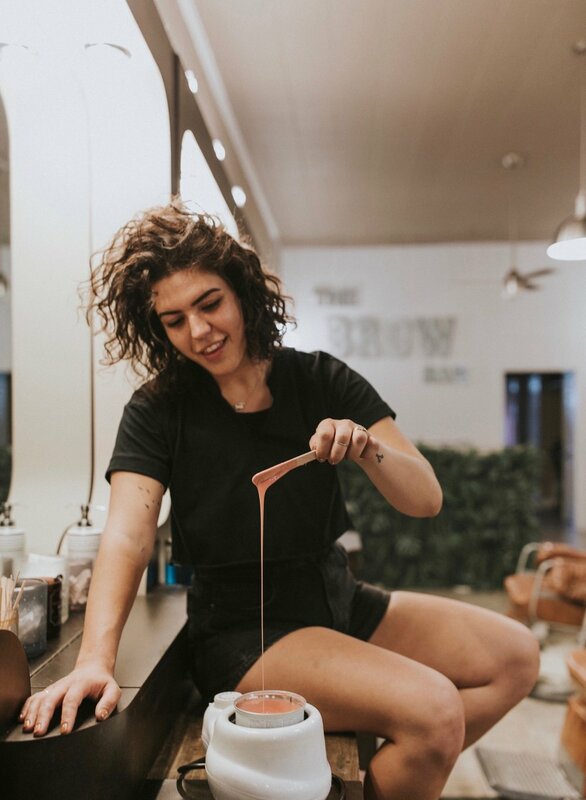 Established in October of 2016, this eclectic salon gives off a unique vibe serving up the best brows around while supporting other local small businesses. In addition to eyebrow services, The Brow Bar carries local artist's work available for purchase such as Brian Giniewski, Twig Gardens, M.C. Pressure, Ore and Wool, Liz Riden, Hamilton Wax Co., Gia Bertone Designs, and many more. Next time you’re in town be sure to pop INSIDE the displays— talk about window shopping on a whole new level! Can’t find the products you’re looking for in the shop? Visit our site for Rodan + Fields for online purchases! Now quit reading this rant and go book your appointment so YOU can come hang with us and experience the creative atmosphere for yourself!